Sonalake has deep domain expertise in telecom software. We have developed and deployed large scale solutions globally with clients including Vodafone, TeliaSonaera, eir, enet and Three. 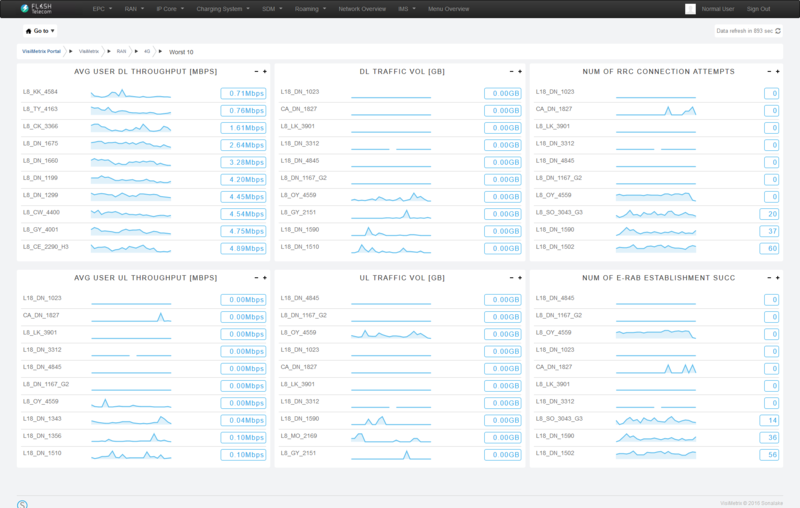 Areas of particular focus include BSS/OSS and Network Data Visualisation. There is a fibre revolution happening in Europe thanks to a surge in demand for gigabit broadband, with €500bn investment planned over the next five years. The resultant highways of supercharged fibre networks demand software automation to onboard and manage traffic efficiently, allowing service providers to provide an excellent customer experience and to profitably deliver on their new business models. Providers range from small municipal providers through to the national incumbent provider. There are multiple provider business models, from the retail provision of OTT-only services, through IP over bitstream, through to wholesale open access at layer 2, dark fibre and indeed duct access. End customers range in scale from the home user through to industrial users needing hundreds of communications-backhaul sites across one or more countries. In addition to more bandwidth for less money, the modern end customer expects an internet-shopping experience, with quick, efficient delivery of the ordered service and regular progress updates in the case of physical delivery (including provision of a fibre). Given the number of potential actors involved in the service supply chain and the pressures on margins, together with the growing expectation of end customers, automation is essential. The following case study is an example of a large scale B/OSS transformation for a European wholesale operator innovating in the area of wholesale aggregation services. To learn more see customer story. Sonalake’s Verax B/OSS is a flexible and modular suite of software that enables fibre providers to automate processes across both wholesale and retail services, over different network technologies. 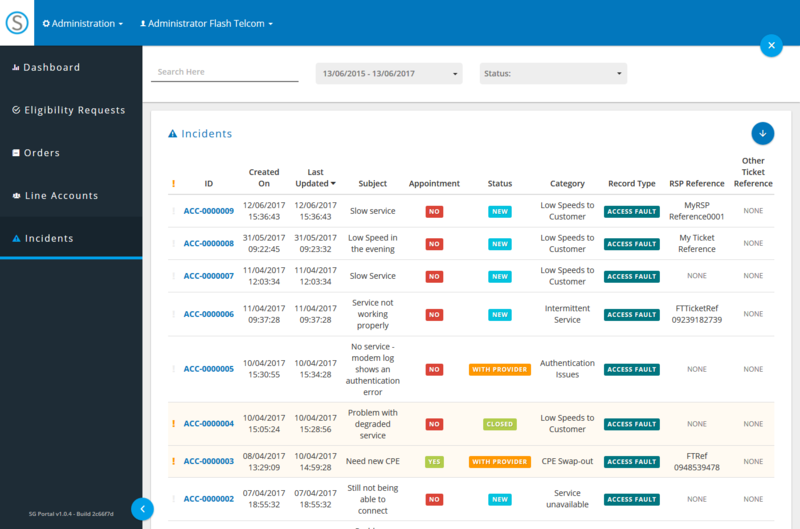 Typical high level level functionality addresses product catalogue management and eligibility checking, service order management, appointment handling, provisioning, ticket handling, customer care, billing and reporting. These features are enabled with workflow and lifecycle management, and accessed via a customised self care portal, transforming how business flows are managed between fibre service providers and their customers. Central to the Verax B/OSS suite is the Customer Portal and Service Gateway. The Portal and Gateway are based upon the latest web technologies and come with a modern clean design and workflow. The robust and customizable self-service portal empowers subscribers to manage and control their services, lowers CSR call volume and provides an opportunity for increasing ARPU by enabling cross selling. Validate the availability of products/services at a certain location – products from multiple access network providers including pricing can be presented. 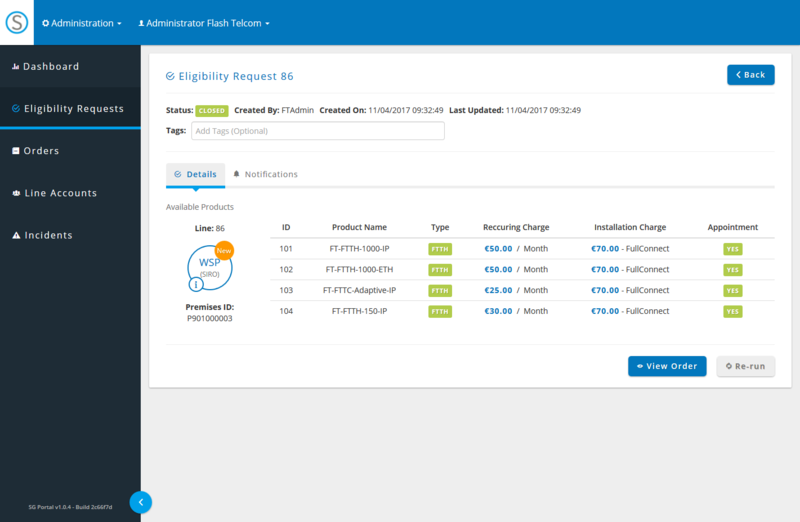 Order broadband, voice or other value-added products and manage the entire order life cycle including the scheduling of appointments with end customers and any dependent 3rd parties. Of course all of the above functionality is also supported by APIs to facilitate integration to an RSP’s backend systems. For the Wholesaler, it is possible to offer a product catalogue to multiple RSPs that is based on services offered by multiple access providers, be they differentiated by technology or locale and providers of higher-layer services such as VoIP and TV. The wholesaler can also inform RSPs of specific incidents with any of the underlying services which impact the RSP’s end customers. Where the Verax system is deployed in an RSP, the web-based portal delivers similar functionality. Validate the availability of products/services at a certain location, together with pricing. Order services and manage the order life cycle including the scheduling of appointments. Perform “health check” or diagnostic operations and manage faults or other issues with the RSP. For the Retailer, it is possible to offer a product catalogue to its target end-customers that is based on services supported by its own systems or by multiple wholesalers of access or other services. 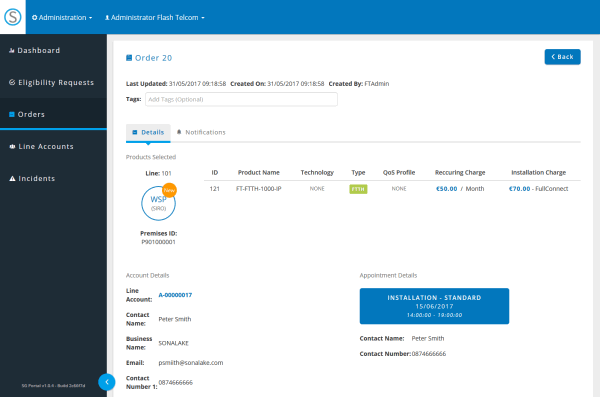 The suite supports all of the required supporting functionality including product catalogue, service desk including handling of escalations to its suppliers and crucially, both sell and buy-side rating and billing. 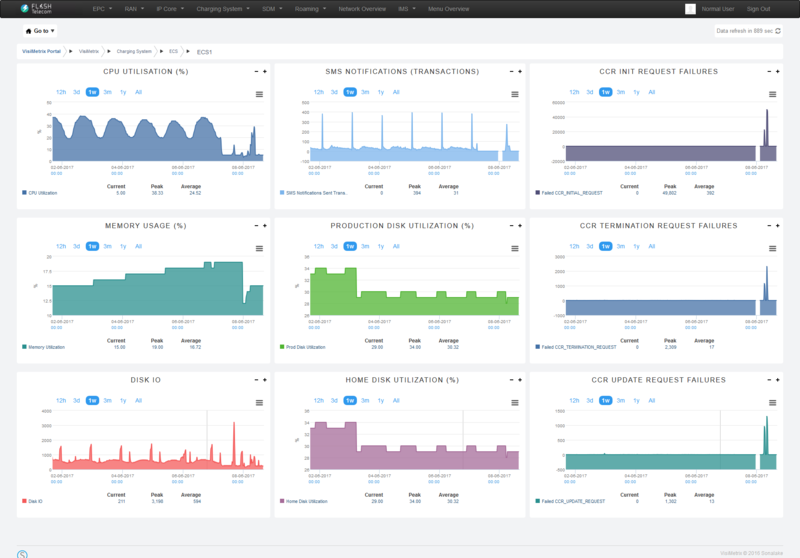 Sonalake’s Verax B/OSS is a cloud-based platform, designed to reduce IT operating and infrastructure costs while scaling flexibly according to demand, preparing your organisation for future challenges while containing both capex and opex investment. One of the key requirements for every B/OSS solution is the ability to integrate with an existing set of applications. While the complete Verax B/OSS suite may be deployed in a greenfield scenario, we can also provide just one or more components of a cooperating eco-system of applications in a mature operator, integrating with third party components ranging from CRM to Inventory Management. Our open integration approach is supported by an API-centric design combined with our domain expertise in telecommunications system and services. Each functional element of the B/OSS suite is open via REST interfaces supporting rapid implementation of advanced automation and integration scenarios, and our track record of integrations towards complex third-party providers of access technologies and assets is excellent, typically using their preferred technology choice be it SOAP/XML, REST/json, RMI and even CORBA or ESB implementations such as Tibco, JMX, MQ and similar. As described above, there can be a high degree of interdependency between the various actors in the provision of FTTx-based services. As the first point of contact for the end customer, the RSP needs to manage its dependency on the Wholesaler in terms of being informed of service impacting issues. For both RSP and Wholesaler, proactive monitoring and analysis of customer experience is an essential in order to assure customer experience. For example, G-PON networks are generally shared medium (point-to-multipoint) networks, with a single wavelength generally serving multiple end points (32 is common). While this gives a statistically guaranteed 30Mbps to every subscriber, the wholesaler and RSP will have sold a higher bandwidth service, typically from 150Mbps to a nominal 1Gbps. It is in everybody’s interest to understand the degree of overprovisioning and incidents of actual congestion, i.e. when the traffic volumes impacts the customer experience. Having your own Service Resource Inventory can prompt targeted proactive monitoring in response to notified issues, allowing the Provider (RSP or Wholesaler) to independently evaluate the extent of an issue. This is particularly important where underlying access providers don’t provide full visibility of network topology to their partner providers, making service impact analysis more difficult than it should be. 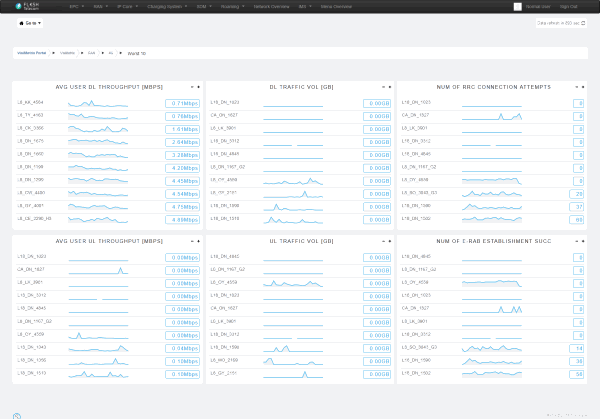 Of course both RSP and Wholesaler should be monitoring all links for utilisation. Sonalake’s advanced performance visualisation solution Visimetrix is used by several large networks to alert and deliver insight into network issues, and to support quick determination of the root cause of experienced issues. It is also used to facilitate capacity management, a challenge that is increasing as overall network traffic increases. SIRIUS provides a solution to manage the flow of hardware and logistics in rollouts ensuring that costs and visibility can be maintained across all locations and activities. It focuses on closing the information gaps between existing rollout tools, providing customised and detailed executive reports. To ensure a full picture of the rollout is available, these reports are based on cleansed, enriched and reconciled input data from underlying rollout systems to support financial governance of the project hardware. 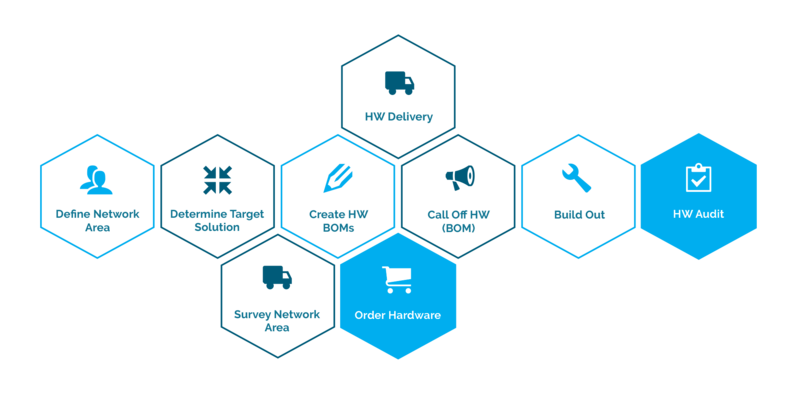 have we ordered enough of each hardware item to meet demand? have we over ordered any hardware items? are we deploying all the hardware collected for an area? By linking into the project lifecycle and comparing relevant data from each of the systems SIRIUS can produce reports that provide the answers. A SIRIUS project starts by identifying the critical management reporting needs of the rollout programme. Once up and running, the SIRIUS solution can be adapted as part of a managed service to cater for new reports and in-depth analysis on focus areas. A dedicated team of Sonalake consultants is available to support the customer’s needs as the exact project evolves, data formats change and new reports are defined. Hence tailored reports such as demand, usage and costs are managed against changes in timescale and solution designs, so new hardware components and additional sub-contractors can be quickly delivered and incorporated into the existing processes. Sonalake’s expertise in telecoms software has seen us work closely with Wholesale and Retail providers to develop and deploy large scale solutions globally. Contact us today to discover how our B/OSS platform could result in increased efficiency, customer satisfaction and new revenue opportunities in the world of fibre.